Platypus Pub should put your mind at ease as far as knowing what they are doing on the beer front. After all, upstairs in The Brew shop they have a vast array of home brewing supplies and ingredients, from equipment such as boil pots and carboys to ingredients like barley, hops or yeast, not to mention the largest bottled beer selection in Central Oregon (over 500 beers!). So, downstairs at the Platypus Pub, you know you’re in good hands as far as what goes in your glass, and they’ve got cocktails to really round out the picture. Never fear, though, because your plate is going to be fine, too. After all, you are in a place that makes its own potato chips. 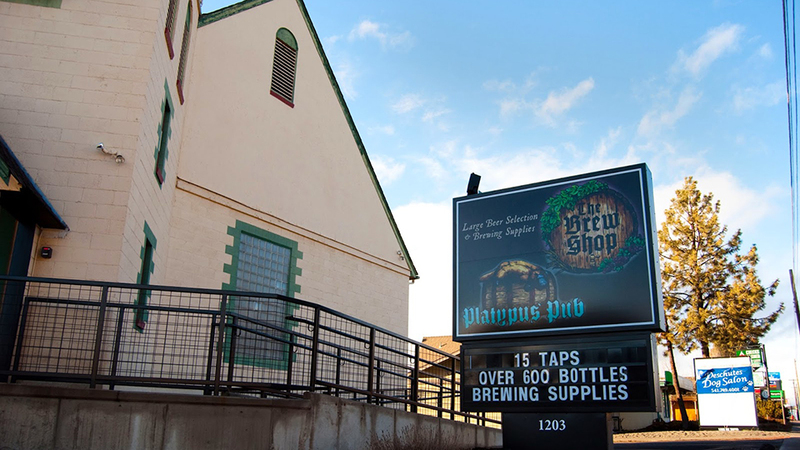 Open Tuesday – Saturday at 12:00 p.m., the “Platty” offers a great atmosphere in which to meet with friends in a lower key atmosphere than you might find downtown, and you’ll also find a lot of locals.